I started by cubing up a 1 lb or so Beef Chuck Roast. About Bite Size or so. Once that seas cubed, I wrapped it in a piece of Pastrami. 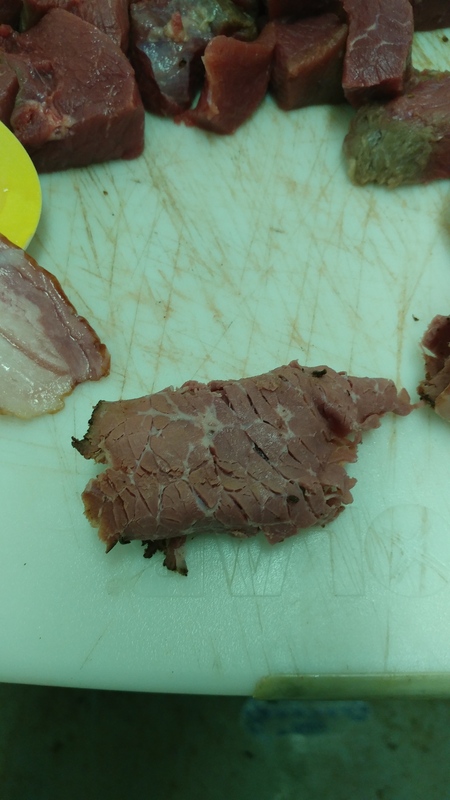 1 Lb of Deli Cut Pastrami covers it. 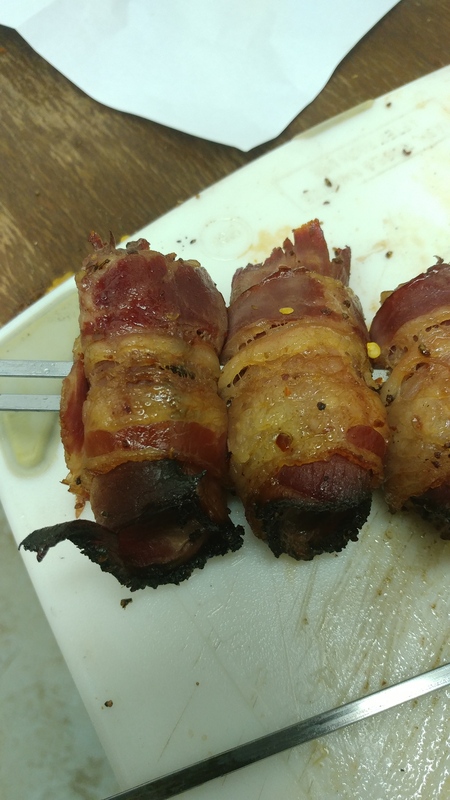 Then I took a piece of Beef Bacon and wrapped it around that. It takes 2 Packages. 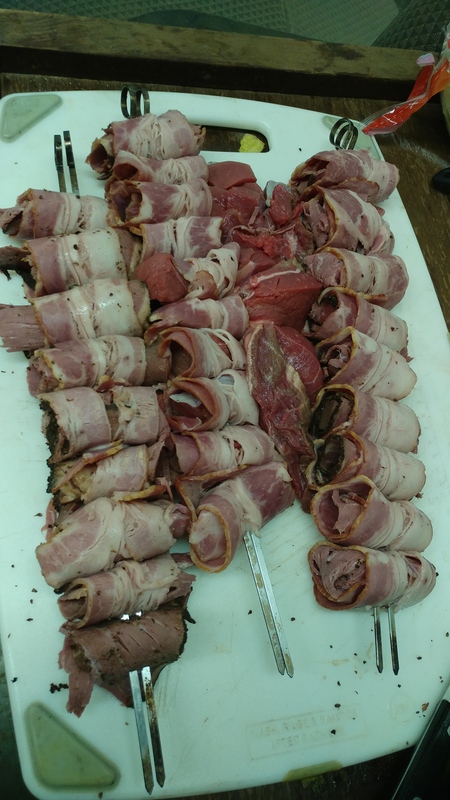 The Beef Bacon was a tough one to get. I had to special order it in. Tastes good! 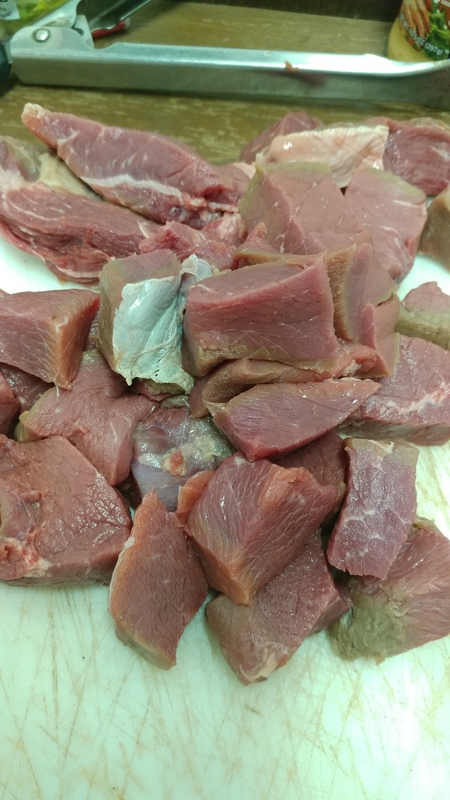 I think next time I will just cure my own Beef Belly. I have done a few Pork Bellies so it has to be pretty comparable. Once they were wrapped, I slid them onto a Skewer and got the coals going. When the chimney gets dumped out, make sure to keep all the coals to one side of the grill. 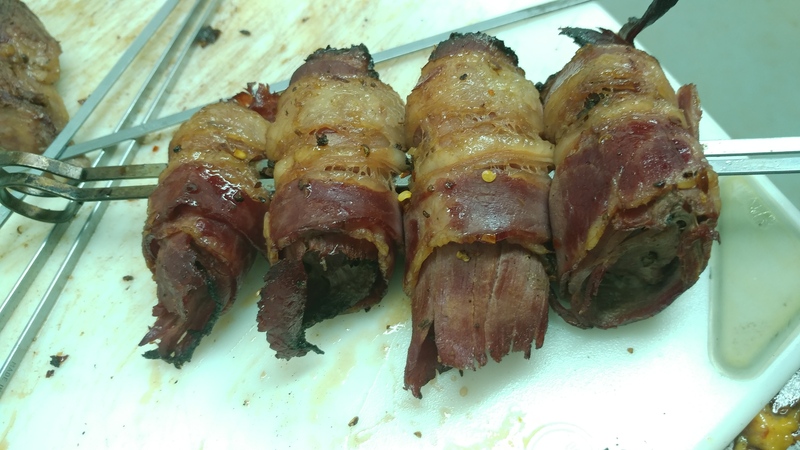 You for sure want these on indirect heat because of the Bacon and later because of the Glaze. I let them cook for about 15 minutes and then flipped them. The other side then cooked for about 10 minutes before the glaze was applied. When the glaze was thrown on, it only took about 4 more minutes on the grill. Awesome! The only question now is what to make next next! Moo Cluck Kaboom? Shrimp Noise Oink Kaboom? Who Knows! Previous Post Brownie / Cake or Brakie’s or Cawnie’s?